Home » What’s the Best Cardio Exercise Machine After Recovery? As the summer winds down and the heat transitions to a cool breeze, many avid runners will be moving inside. And, while running enthusiasts may prefer the natural feeling of running outside, there are also benefits to indoor cardio machines. 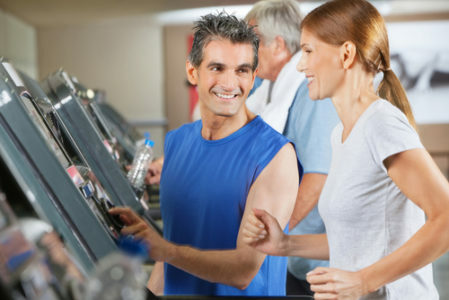 Most gyms have several types of cardio machines, each of which can have different orthopedics advantages. Depending on your specific condition, one of these machines may be ideal for shaping your recovery. 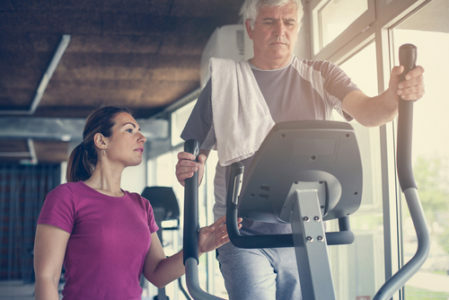 In this blog post, we’ll discuss which cardio machine is the best for you, given your fitness goals and recovery limitations. If you’re running on a regular basis, then you’ve likely been involved in this classic conversation at least once before. The truth is, though, that neither method is necessarily better than the other. Each style has its own advantages, and runners of different styles tend to favor each. If you’re curious about which would be best for you, then consider consulting an orthopedics professional. For people who run in marathons and other outdoor race events, running outdoors is generally preferable. This is because they often favor running in the same conditions that they will be racing in. Generally, you should complete 60% of your training in the same conditions as the race you are training for. When running outdoors, you will also encounter natural changes in terrain– which, from an orthopedics standpoint, is crucial. Slight slopes and gradually changing terrain are natural, and are the same conditions that you will encounter in an outdoor race. Training in this manner– either exclusively, or with some treadmill time– will prepare your muscles in the appropriate manner. A Long Island orthopedist can help you during this training process, with injury prevention and gradual increases in intensity. Running on a cardio machine carries many advantages as well. Health benefits aside, runners no longer have to worry about external factors– such as light, safety, and weather. It’s a very convenient solution to running, when the conditions outside are unfavorable. So, this is the perfect solution for people looking to exercise, whether for weight loss purposes, or to meet new fitness goals. As with all other forms of exercise, though, there is a point where your efforts can be detrimental. 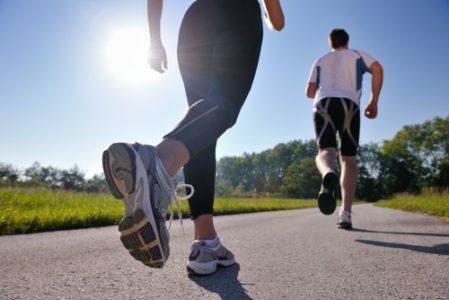 A Long Island orthopedist can help you to determine the ideal frequency at which you should exercise. If you exercise at a gym, then you’ve probably run on the treadmill before. But, what about the other cardio machines? Each machine is suitable for a different type of exercise, and depending on your goals, there may be a different answer. Some of these cardio machines are also ideal for patients recovering from an injury, seeking low-impact exercise. An orthopedics professional can make a recommendation based on your condition, and recovery status. As the most common cardio machine, the treadmill fulfills plenty of common goals for exercise enthusiasts. For runners who are planning to enter a race, this is the ideal machine. It is also the best machine for losing weight, as it provides calorie-burning exercise. Treadmills are the perfect exercise machine for HIIT training, or high intensity high interval exercise. Treadmills can, however, present issues for patients with knee injuries. Because the treadmill simulates running on a flat surface, patients are repeatedly moving the legs and knees with the same motions. Without adequate periods of rest between exercise days, this can cause chronic injuries to develop. This means that runners bring the legs up and down in a rapid motion, which can also lead to orthopedic injuries. This common method of cardio exercise is just as common in the home as it is in the gym. As with the treadmill, you can easily engage in both aerobic and anaerobic exercise on a bike. So, depending on your exercise goals, you might benefit from switching between these two methods of exercise. It is an excellent way to burn calories. The exercise bike does, however, carry other benefits as well. It is a great method of exercise for people with lower back issues. For people with lower back issues, this is a great method of exercise. It causes the spinal juices to flow, which aids in improving the range of motion. Riding an exercise bike is also a smooth, easy way for seniors to exercise during the winter. So, orthopedic professionals often recommend the exercise bike as a recovery exercise. The elliptical is intended as an alternative to the treadmill. Equipped with handles, the elliptical offers patients a full-body workout, using both the arms and legs. This exercise will not burn as many calories, and may not necessarily offer the same weight loss benefits. It will, however, improve balance. Because the patient’s feet do not leave the ground, this is also considered low-impact exercise. So, the elliptical is a fantastic option for orthopedics patients who are recovering, and seeking the best way to exercise. The stairmaster simulates climbing a set of stairs, which carries a few different benefits. First, it does burn calories– though not as many as running on the treadmill might. However, because of the motion required when climbing stairs, as well as the resistance, the stairmaster also develops lower body strength. So, if your main goal is to burn calories, then the stairmaster may not be the optimal choice. But, the stairmaster does offer a convenient way to engage in cardio, while also building strength. And, the stairmaster is also a relatively low-impact method of exercise– meaning that it will not be hard on the knees. If you’ve suffered from injuries in the past, then you will be able to again engage in exercising, and improving your body. However, to do so safely, you need to go about this carefully. Our specialized orthopedists can give you the guidance you need in ensuring safe, constructive exercise.